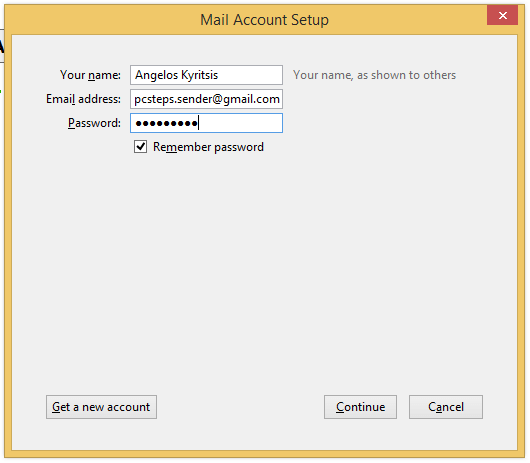 First time we start-up Thunderbird, it will ask us to add an account. With a new Gmail account, we can immediately add it to Gmail. 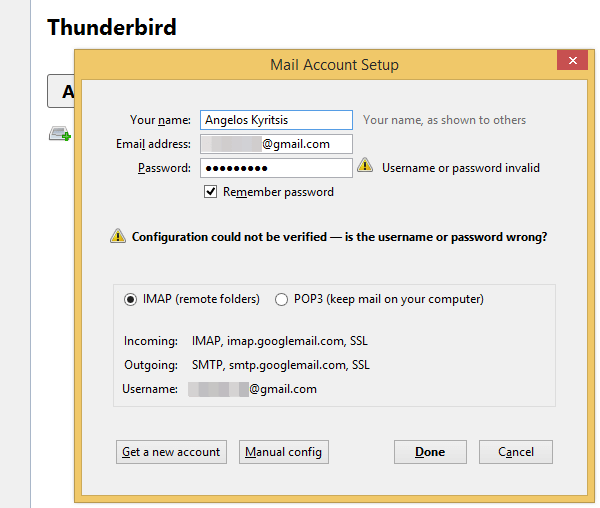 However, if we had our account for a couple of years, even with triple-checked Gmail credentials, Thunderbird will be unable to connect, with a "Configuration could not be verified" message. This is not a problem with Thunderbird, or our Gmail credentials. 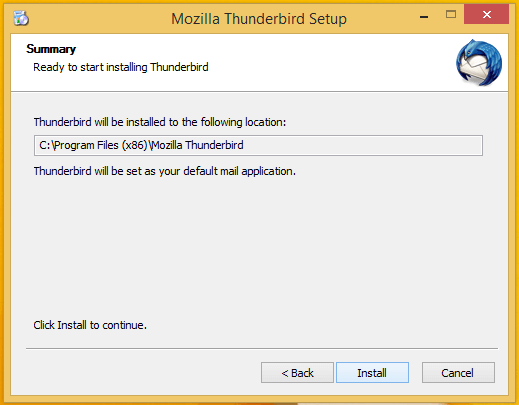 It is a security setting of Google, that doesn't allow Thunderbird to connect with old accounts. 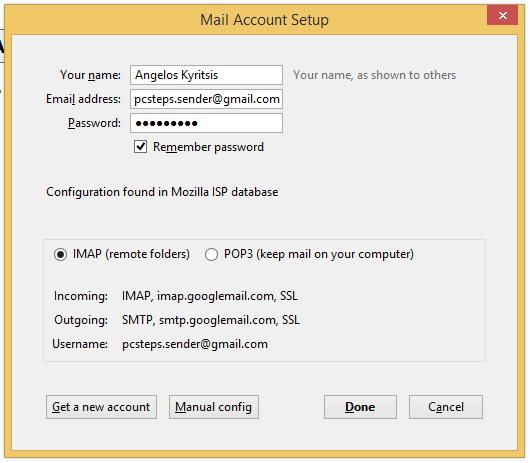 To be able to connect Gmail with Thunderbird, we need to change two settings in our Gmail and Google account. 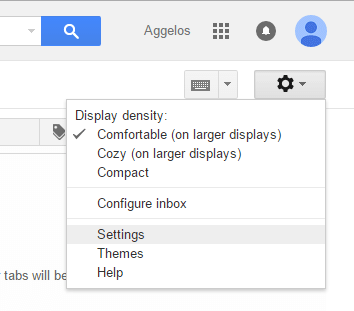 In Gmail, we click on the settings' cog and select "Settings". 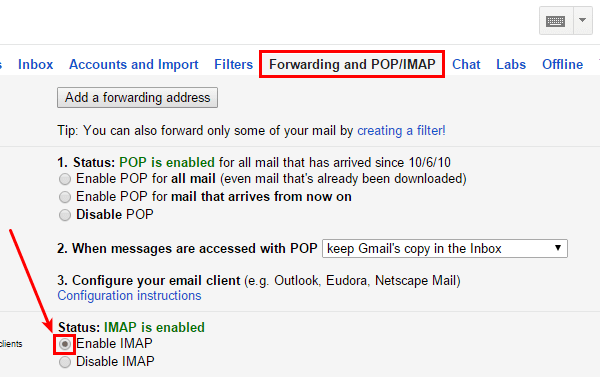 We won't find the second setting to change in Gmail, but within our Google account, at the following URL. 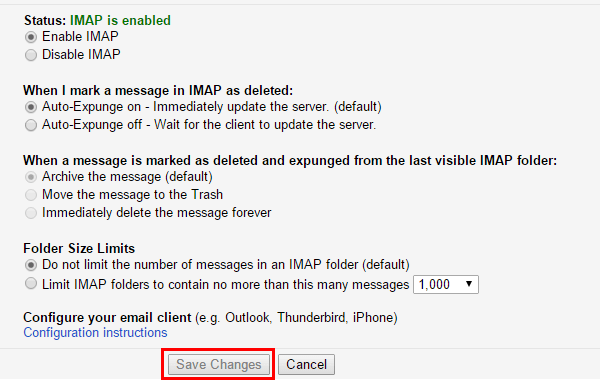 This setting is the reason that even with IMAP activated, Thunderbird couldn't connect. By turning it on, we are ready to set up Gmail with Thunderbird. The installation is simple, and it won't attempt to install useless third-party programs, toolbars, or browser hijackers. 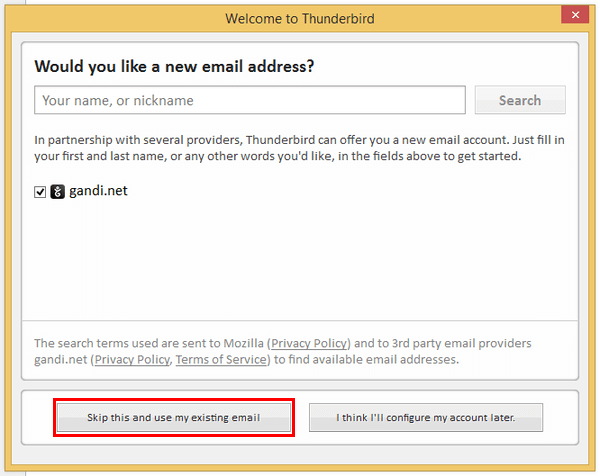 First time we run Thunderbird, the welcome screen allows us to create a new email account with gandi.net. We click "Skip this and use my existing email". 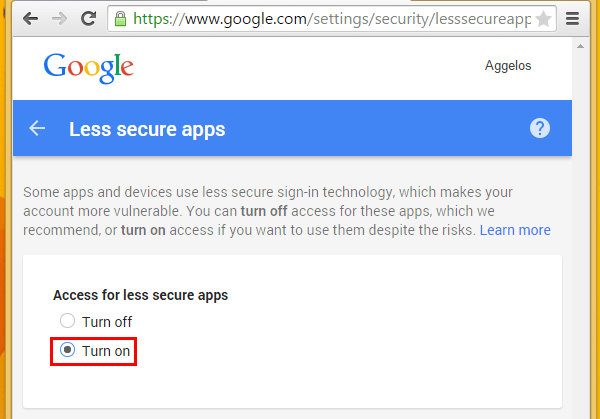 There, we just write our name, our Gmail address, and our Gmail password, and click on "Continue". The wizard will automatically find the proper configuration to connect Gmail with Thunderbird. We click on "Done". That's it. 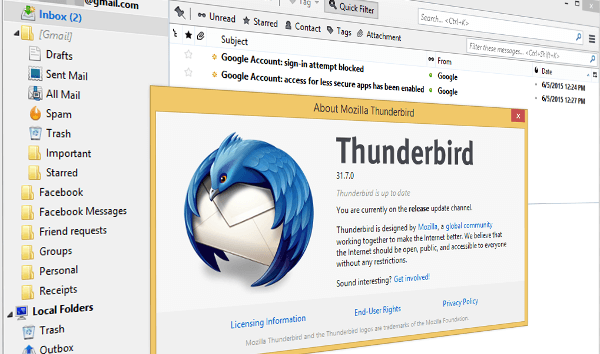 Now we will receive our Gmail with Thunderbird. 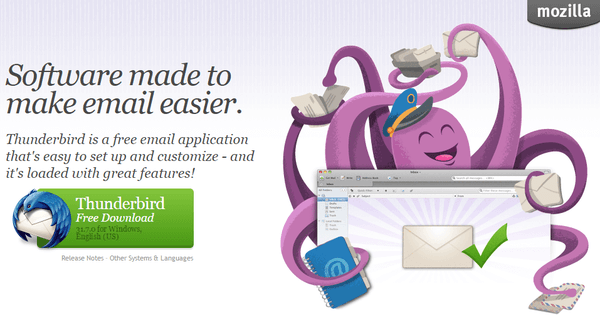 Of course, we can also send Gmail with Thunderbird. 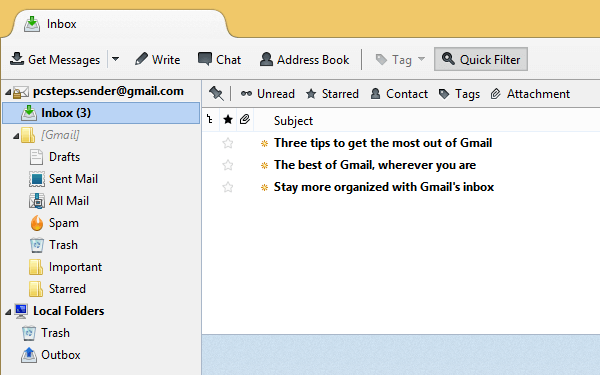 Beyond having a backup of our Gmail messages, and offline access at any time, one important advantage of using Gmail With Thunderbird is that we can encrypt selected outgoing emails with the powerful OpenPGP encryption. 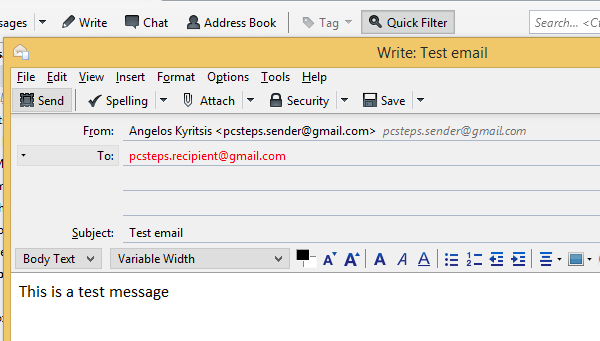 On a next guide we will see how to encrypt our email using OpenPGP, with Thunderbird's Enigmail add-on.